We can nearly always provide this service. 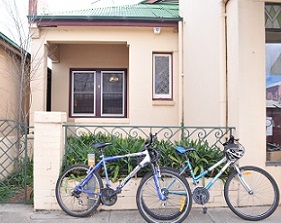 Indeed, we encourage our guests to stay beyond the usual check out time to enjoy the house or the many features and facilities that Rutherglen has to offer. Cost depends on the number of guests and length of stay. The longer the stay and greater the number of guests, the cheaper the tariff per guest. Send an email or a message via our Contacts page, or phone Marie (0447 441 796) giving us your dates and numbers and we will quote the cost. 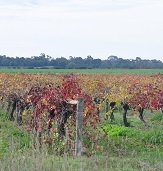 Rutherglen is best known as one of the premier wine-growing regions in the state. Visitors come year round to sample the full-bodied dry reds, delicate whites, sherry, port and muscats produced in surrounding vineyards, and the Rutherglen Winery Walkabout, held on the Queen's Birthday weekend, is a major annual highlight. 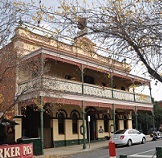 Enjoy a tour of Rutherglen highlighting its long history. Whether it's old mine sites dating back to the gold rush years, grand old hotels and farm homesteads, or the mighty Murray River, there is plenty to do and see during your stay. If you are feeling a bit more active, there are various sporting activities right on your doorstep.Rutherglen has some of Australia's best golf courses and lawn tennis courts, or you could simply go for a long walk or a scenic bike ride along some of our fabulous bike tracks.